Thanks for all your help – we REALLY like our wood boiler! Thanks for the heating season – Our house is much more comfortable and despite the much colder season, we are only using the same amount of propane as last year. 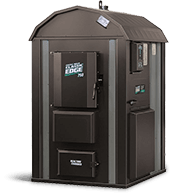 Would like to take the time to update you on the performance of our new Triangle Tube boiler and the on demand water heater you installed for us last fall. The entire system works perfectly and we are very pleased with the efficiency of your product. We have had 38% decrease in our over-all heating cost and even with washing clothes, taking baths, doing dishes, we never run out of hot water. 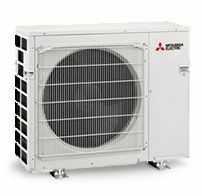 The system is quiet, clean, and I would recommend it to anyone looking for a state of the art, efficient heating system. We would highly recommend your company to anyone who needs plumbing or heating work. We found your staff to be very pleasant, highly efficient and showed great concern for doing an above average job. Best of luck to you and your crew. Thank you, MMT was excellent. Scott knows his game! The outside work looks great too. Thank you for your service. Take Care. I just wanted to say thanks for getting the A/C repaired. MMT was great to work with. Thanks guys for all your great work! We sure will enjoy this winter… Keep up the good work! Thank you! I am very pleased with my service from MMT. Mike and Harvey were (are) great! They explained everything & have solid customer service skills. Mike is an exceptional technician – MMT is lucky to have them both! I will definitely be recommending MMT! Thank you MMT for your services. I know if I have any problems in the future I’ll be calling your business. I’ll also recommend you to others, thanks again. Mike assessed the situation and informed me. He did a great job & I was very pleased with his manner & professionalism. A nice young man. Again, thank you. I would like to thank MMT and staff for your excellent service. There are not many companies that deliver the customer service that MMT Heating provides. I am most impressed with the technical knowledge and advise that you and your staff provide. In November of 2012 I purchased a Central Boiler to heat my home and garage. This was one of the best purchases that I have made. The Central Boiler has lived up to everything Steve said it would and more. When I bought the stove I was told how well insulated the stove was. I had a chance to borrow a thermos image camera so I decided to check and see if the stove was really that insulated, and it is. Steve told me I would see some heat loss around the door frame due to being attached directly to the firebox and a small amount around the chimney, and that is exactly what I found. The Crew that came out to install the unit was very clean, considerate of our home and made sure that any of our questions were answered. Scott was the lead technician that installed the stove and did a phenomenal job. The thing that impressed me the most is that Scott installed the stove like it was his own, paying attention to details that I was not concerned with and not letting me say that’s fine. Since the install I have had to call and ask some questions and he has been very helpful to provide as much information as possible which I appreciate very much. Thank you again for all that you have done to help me out during the sale and most importantly after the purchase. Wanted to thank MMT for doing such a nice job on the install. Friendly, courteous and did a neat installation. Very professional. Thank you. Dear Steve and crew, Thank you for everything. The service call on 6/12/14 ran smoothly and luckily it was just adjusting the pressure on system and fired boiler. I wanted to follow up with a thank you. Earlier today you walked me through replacing the chimney tee on a Central Boiler. As you suggested a little more intense persuasion got the old part out. The new one slid right in after some clean up. Thank you for the above and beyond service! 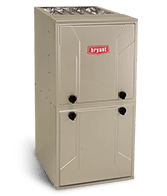 We carry several lines of Bryant furnaces for consistent home comfort. 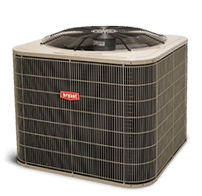 Energy-efficient heating and cooling throughout the year. A cost-effective alternative to window units and electric heaters. Enjoy consistent heating while reducing your cost of operation.